September’s Document of the Month is a collection of letters and a printed copy of a speech by James Radclyffe, 3rd Earl of Derwentwater, written as his execution for his part in the Jacobite Rebellion approached (D/DP F273/2-6, 37). 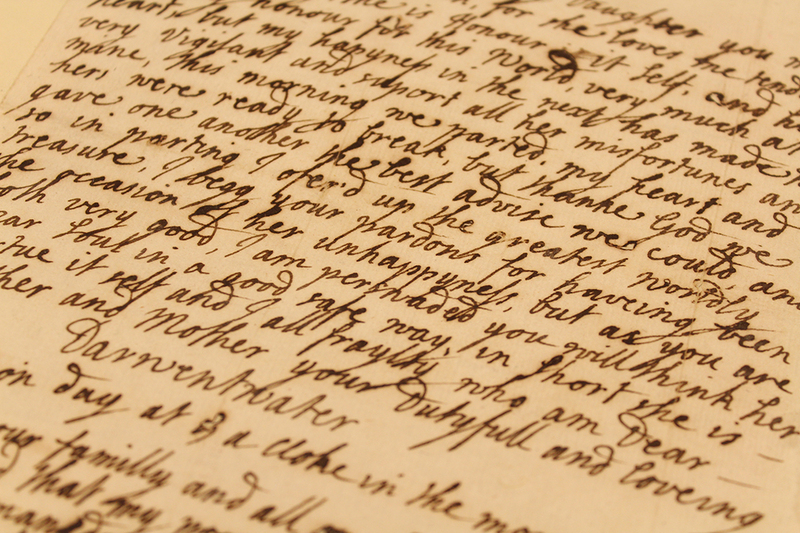 The letters were written to his wife, his mother, and his wife’s parents, and discuss the heartbreak of leaving his wife, his hope for forgiveness and happiness in the afterlife, and care of his brother and children. The Jacobite Rebellion of 1715 was the attempt made by the Old Pretender, Prince James Francis Edward Stuart to claim the throne. James II succeeded his brother Charles II in 1685 but his Catholicism made him unpopular with his subjects. In 1688 James’s Protestant son-in-law William, Prince of Orange and daughter Mary were invited to England and James fled abroad. The Glorious Revolution established a Protestant monarchy and after Mary’s sister Queen Anne died in 1714 the crown passed to George, Elector of Hanover (George I). On 6 September 1715 the Earl of Mar raised the Old Pretender’s standard at Braemar, beginning the rebellion. Most of the armed conflict took place in Scotland, but in October there was a rising in Northumberland in which James Radclyffe, 3rd Earl of Derwentwater and his brother Charles (later 5th Earl) took part. They joined with Scottish Jacobites (from the Latin Jacobus or James) and reached as far as Preston where they were defeated and surrendered to the Government forces on 12-14 November. By the time the Old Pretender landed at Peterhead on 22 December, the Jacobite army was heavily outnumbered and he left defeated in February 1716. 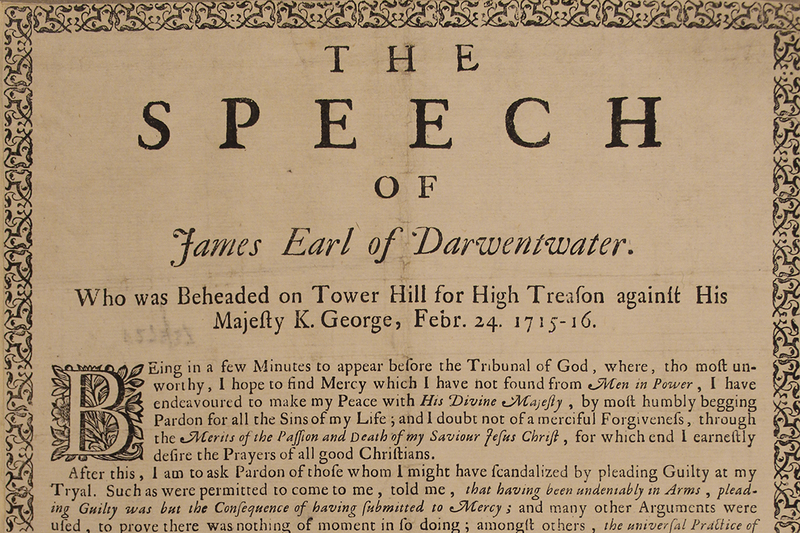 The Earl of Derwentwater was convicted of high treason and executed on Tower Hill on 24 February 1716. Many of Derwentwater’s final letters to his family survive among the Petre family records, as his daughter Mary married the 8th Lord Petre. In 1745 the Old Pretender’s son Prince Charles Edward Stuart, the Young Pretender (Bonnie Prince Charlie) made another unsuccessful attempt to claim the Crown. Derwentwater’s brother Charles had managed to escape abroad in 1716, but was executed for his part in the 1745 rebellion. The documents will be on display in the ERO Searchroom throughout September 2015. This entry was posted in Document of the Month, Uncategorized by admin. Bookmark the permalink.